The exterior of your home is not an area you think about often; it’s not an area that anyone thinks about often. The vast majority of our thoughts regarding our home are consumed with what’s inside; the decor, the furniture decisions, the colors we paint our walls. There’s just no mental energy left for what happens outside-- after all, it’s not an area you see that often, either. However, there’s no doubt that your household exterior can experience issues which can bring down the entire aesthetic of your home. What’s most annoying about this is that these issues are fixable and preventable. One day, you will want to sell your home, and you don’t want to find yourself having to make a huge series of home improvements just so you can attract a buyer. Pollution is an issue wherever you live, but particularly if you live in an urban location. The problem with pollution is that the issue can build, and build, and build, but it’s so gradual we don’t always notice what’s happening-- it’s the household equivalent of the boiling frog. Pollution will settle on the exterior of your house and stay there, layering up year after year, until the brickwork is a mottled grey rather than the color it was intended to be. Every few years, tackle the problem head-on by contracting a sandblasting company to remove the grime that is building. This is far easier to do frequently rather than needing a huge job to remove years of pollution layering up. Weeds are pernicious and insistent; they can grow between concrete and decking, and they will keep coming back year after year. If you take pride in your front garden, then the weeds that push their way through will be a persistent nuisance-- and they will make the exterior of your home look incredibly untidy, even if everything else is well-manicured. Wherever possible, you need to install weed-suppressing landscape fabric. This fabric is thick and dense, and prevents weeds from growing both through providing a barrier and denying them sunlight. Well-laid landscape fabric should last for a couple of years, saving you hours of backbreaking weeding in the meantime. If you don’t regularly clear your drains and gutters, then you could be facing a future with a significant number of issues. The most serious threat occurs over the winter. If you have leaves clogging up your gutters, then the flow of water can be restricted, meaning that water pools rather than running clear. If this water freezes, there’s a good chance that the weight will be too much for the guttering to bear, and eventually, gravity will win the fight and come crashing down. Not only does this cause a huge amount of mess, but it will also be incredibly expensive to repair. Gutters that are packed with debris also look bad, so it’s well worth taking the time to clear them fairly frequently. 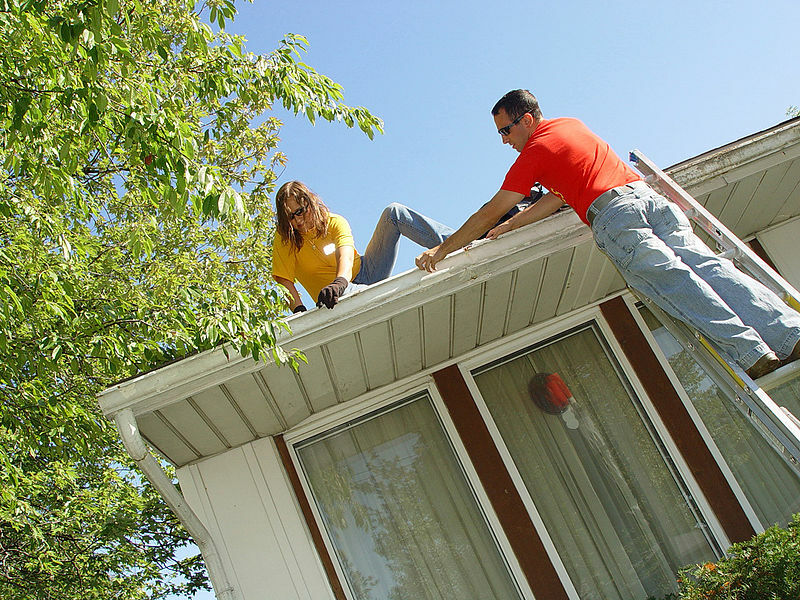 It’s not a pleasant task, but it’s nicer than having to repair the issues a broken gutter can cause! 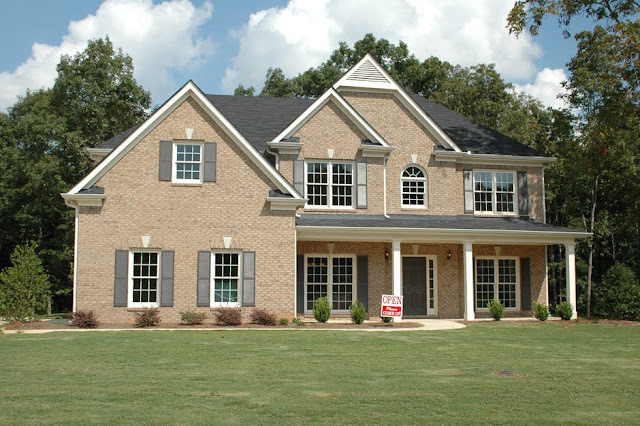 If you focus on these three steps, you can be sure that the exterior of your house has the same quality as the interior-- and save yourself a lot of mess and hassle in the future.